Top secret war: What’s going on with Canada’s military misadventure in Iraq and Syria? 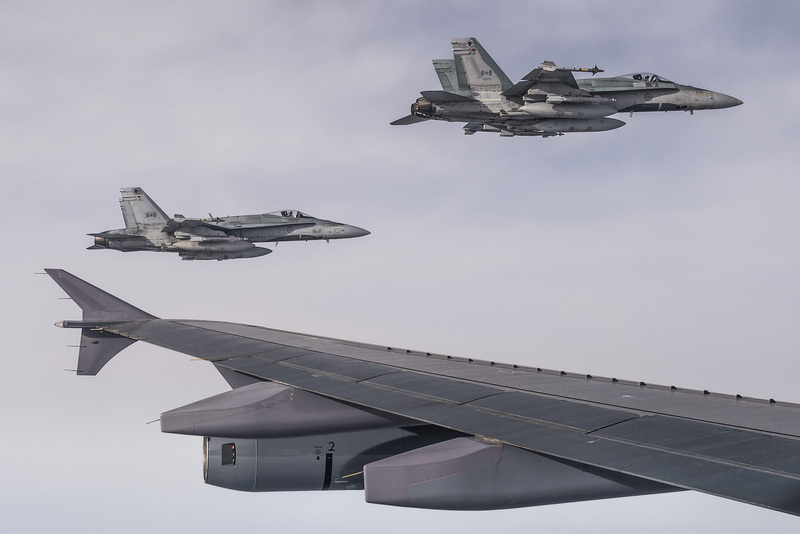 Since last October, Canada’s air force has been involved in a coalition of Western and Gulf Arab nations bombing Islamic State positions in Iraq and, later, in Syria. In addition, Canadian Special Forces have been deployed to Iraqi Kurdistan to train the Kurdish peshmerga, who are fighting IS on the ground. Throughout the past year, media coverage of the conflict has been extremely sporadic and patchy. This is largely by necessity; the military has not exactly prioritized keeping the public informed, especially when it comes to scandalous and controversial events, like the lone Canadian death in the conflict, that of Andrew Dorion, who was killed in what has been described as a “friendly fire incident” this past March. Details of Dorion’s death have remained pretty fuzzy, and the Department of National Defence has so far refused to release a thorough report investigating the incident. Similarly, DND has remained tight-lipped about ongoing rumours and reports of civilian casualties as a result of Canadian airstrikes. This past week, an investigation by CBC’s the fifth estate revealed that Canada and its coalition partners have been implicated in the deaths of up to six hundred civilians, including at least two airstrikes in which Canadian bombers were specifically involved. The military brass had little to say on the incident, except that the mission’s commander was not even aware of an internal Pentagon investigation into one of the incidents. Canada continues to insist that our bombers have killed absolutely no civilians with the nearly five hundred bombs they’ve dropped on Syria and Iraq to date. Given the military’s intransigence and the horrific on-the-ground conditions, it’s difficult for the press to dig much deeper into these allegations, or indeed to report concretely on the state of the conflict. There’s no question about it: yesterday’s decision by President Barack Obama to reject TransCanada’s application to build the northern portion of the Keystone XL pipeline is a big deal. There were a multitude of factors that led to Obama’s decision, but chief among them was the fact that an army of activists and agitators have successfully associated the pipeline with the dirty tar sands carbon bomb at its source. In fact, Obama specifically invoked climate change in explaining the rationale behind his rejection, saying that approving the pipeline would be inconsistent with tackling global warming. This is a massive win for activists. As Neil Macdonald points out, the oil companies have considered Keystone to be a done deal for half a decade or more, and at least one oil lobbyist who spoke to him credits the turnaround almost entirely to environmentalist activism. 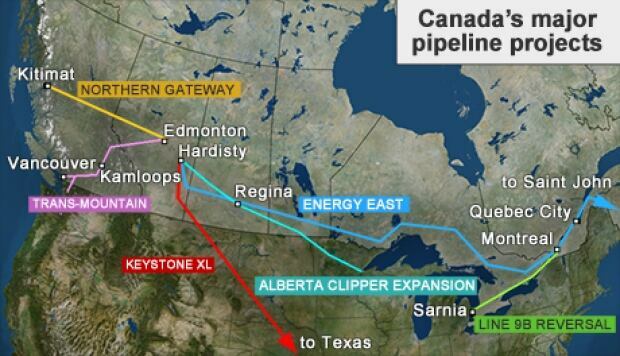 And yes, while Keystone has been delayed, the amount of raw bitumen shipped (by train and by more roundabout pipeline routes) from the tar sands to the Gulf of Mexico has tripled in the last seven years, and yes, TransCanada could very well resubmit a slightly altered proposal with a totally different name to the next American administration, and yes, the Trudeau government is an eager advocate for the tar sands and could use their masterful command of symbolic gesture and tone control to try to change international perceptions of Canada’s “dirty oil”. All of this is undeniably true. There’s a lot of work still to be done. But to know that a project this major which is so enthusiastically backed by so many powerful players can still be brought down by persistent and determined activism (with a healthy dash of direct action mixed in) is incredibly encouraging. It’s heartening to see the environmental movement get such a big win, and it could very well be the harbinger of a shift in public thought about fossil fuels in general and/or the tar sands in particular. With that in mind, I thought I’d check back in with the resistance to pipelines here in Canada. At present, there are at least three major sites of contention, and in each case there are reasons to be optimistic that resistance will ultimately be successful. 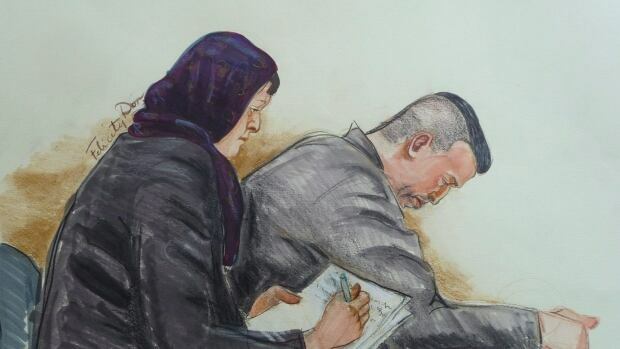 As regular readers of The Alfalfafield will know, I’ve been closely following the ongoing trial of John Nuttall and Amanda Korody, two now-convicted terrorists who contend that they were entrapped into a plot by their handlers in the RCMP. The pair were poor ex-heroin addicts living on welfare who had recently converted to Islam when Nuttall encountered an undercover CSIS agent provocateur at his local mosque. Alarmed at the agent’s extreme behaviour, Nuttall reported him to the authorities – ironically, to CSIS itself. It’s unclear how this initial contact with law enforcement metastasized into a massive undercover RCMP operation, but Nuttall’s attorney, Marilyn Sandford insists that the two agencies cooperated, as they are empowered to do under the RCMP’s INSET program. Unfortunately, no court can compel CSIS to turn over any documentation it may have on the matter, and Sandford suggests that CSIS may have deliberately avoided sharing anything in writing with the Mounties in order to avoid the court disclosure process. Regardless, Nuttall and his partner soon found themselves entangled in an elaborate plot. Upon meeting somebody who presented himself as a jihadist, Nuttall boastfully claimed that he was plotting a terrorist attack. The only problem for the Mounties was that he was entirely incapable of formulating or executing any kind of feasible plan. His early schemes involved building a missile and launching it at Seattle (which he mistakenly believed was a mere thirty kilometres away from Vancouver) and hijacking a nuclear submarine. As far as I’ve been able to figure from the media reporting on the trial, neither Nuttall nor Korody had invested any time or effort into pursuing any kind of plot prior to their being contacted by undercover RCMP officers. This is the inaugural post in a new series: National Security Sundays. Each week, I’ll be doing a deep dive into issues related to Canada’s surveillance agencies, law enforcement, or armed forces. Today, we’re taking a look at a story that what hot this spring but which hasn’t gotten as much attention as it deserves lately, the 1984-esque surveillance law C-51. With the benefit of hindsight, I think I’ve managed to pinpoint the lowest level to which the Conservative Party stooped in the recent election campaign in their desperate attempts to drum up enough fear and terror and anti-Muslim hatred to squeak back into office. There were, I’ll concede, a lot of candidates for the Lowest Low, from their anti-niqab hysteria to their “barbaric practices hotline” to their cold bureaucratic indifference to the plight of refugees. But, for me at least, the Conservatives hit rock bottom on September 24, when they announced that they were laying charges under the recently-passed C-51 against a Canadian man, Farah Mohamed Shirdon, who left Canada in early 2014 to fight for the Islamic State. The video of this individual burning and shooting his Canadian passport to express his violent hatred for Canada shocked many Canadians – and demonstrates how those who engage in terrorism betray the bond of loyalty and allegiance with Canada. This one sentence has the whole Conservative Party reelection strategy, encapsulated perfectly. It uses loaded buzzwords designed to create indignation, fear, and hatred, says “Canada” and “Canadians” far too many times, conflates symbolic gestures with meaningful action, and baldly asserts the widespread prevalence of opinions which are in actuality much more marginal. It sets up a glowing ideal of Canadian patriotism and then demonizes and Others anybody who fails to live up to it, attempting to create a sense of solidarity among all “decent” folks. It’s truly a disgusting masterwork of divisive rhetoric.